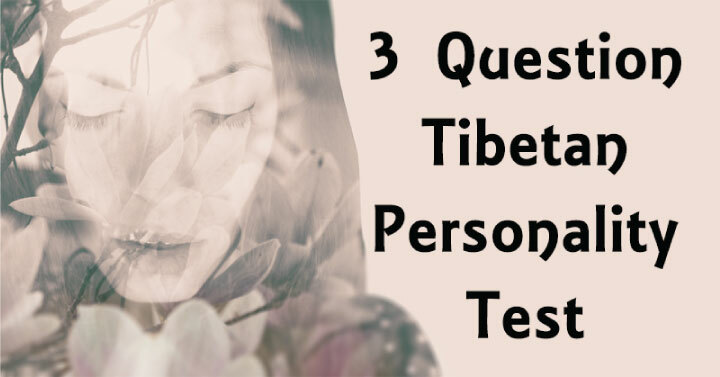 This Tibetan test is a personality test unlike any other you’ve ever done! So, get ready to delve into the world of your subconscious. This Tibetan test will reveal the truest version of yourself and your being. It’s believed that this Tibetan test was put together by the Dalai Lama. When you are answering each of the questions below, remember to base your answers entirely on intuition, rather than looking for some logical response. Flow through each question with ease, picking the first answer that comes to you. For each of the five people, choose a color from the list bellow. You can only choose one color per person. Use your intuition and instinct. Question 1 – How you set your priorities. Question 2 – Your attitude towards life. Question 3 – Your attitude towards other people. Green – Someone you will never forget. So, how’d you do? How accurate would you say your results are? Did this Tibetan test show you anything about your inner being that you did not already know? Share with friends and family to see what their results are!